The EDB expects a slowdown in Kazakhstan's economic growth to 3.3 percent in 2019 amid a decline in oil production due to repair work in oil-producing industries. 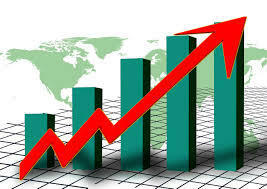 In 2020 and 2021, GDP growth is estimated at 3.4 percent and 3.5 percent, respectively, Kapital.kz reports. “The cost of the tenge against the dollar and the euro declined in 2018, which fits into the general trend in emerging currency markets - weakening of the course against the background of the U.S. Federal Reserve interest rate increase and the overall growth of economic and political risks in the world,” Kuznetsov emphasized. According to the macroeconomic review, inflation in Kazakhstan in 2018 amounted to 5.3 percent in 2018, being within the target interval of the National Bank of Kazakhstan (5–7 percent). Lower prices for automobile fuel after the completion of the modernization program at leading refineries, as well as lower prices for electricity and heat for the population played a significant role in slowing inflation. In the medium term, it is expected that inflation will take shape within the target band of the Kazakh National Bank with a gradual approach to 4 percent by the end of 2021. Reducing inflation will be supported by maintaining the interest rate of the interbank market in tenge near its neutral level, estimated at 7.5–8 percent. The EDB’s greatest achievement of recent years has been its recognition as an international financial development institution specializing in regional integration.